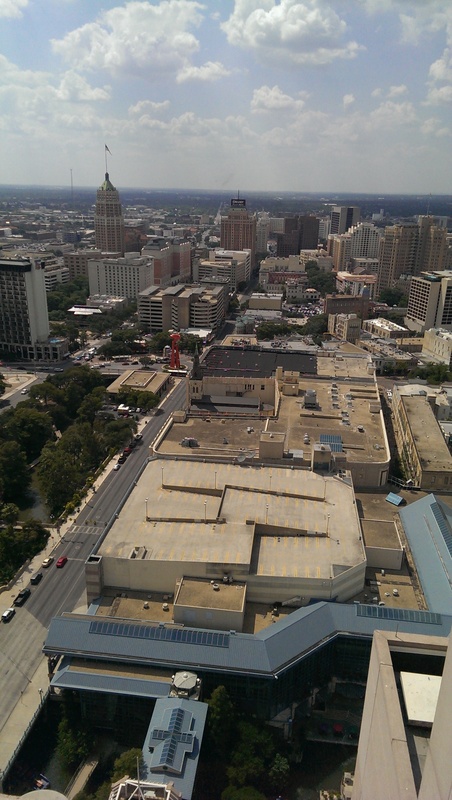 View of San Antonio from hotel hallway. I was on the 37th floor. 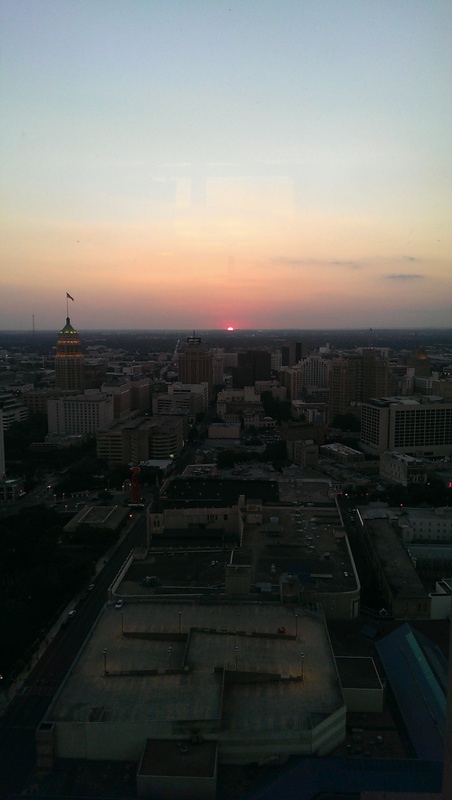 Same view at sunset. Pretty. 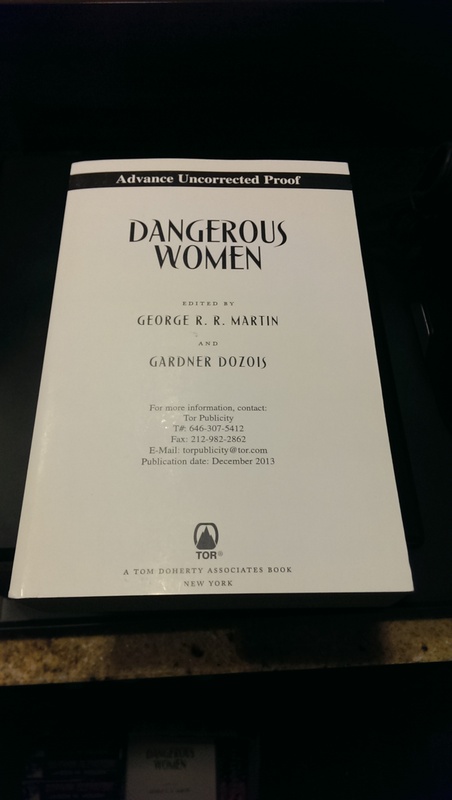 This drool-worthy ARC was given away at the Drinks with Authors party thrown by the /r/Fantasy crew, Justin Landon and Myke Cole. Makes you wish you were there, doesn’t it? 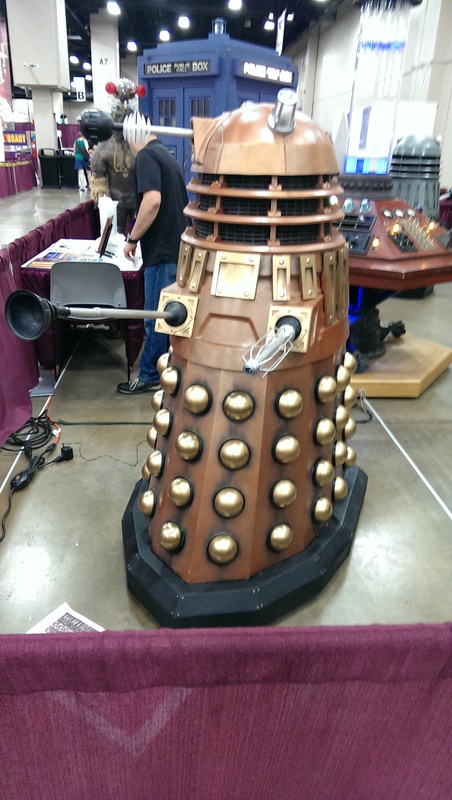 A Dalek. That’s about all there is to say about it. Yous truly sitting atop the Iron Throne. 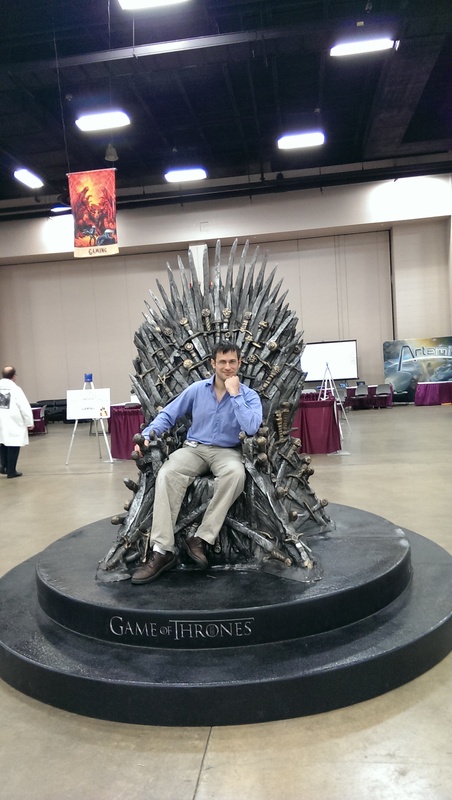 I suspect my reign over Westeros would be short but mercilessly bloody. 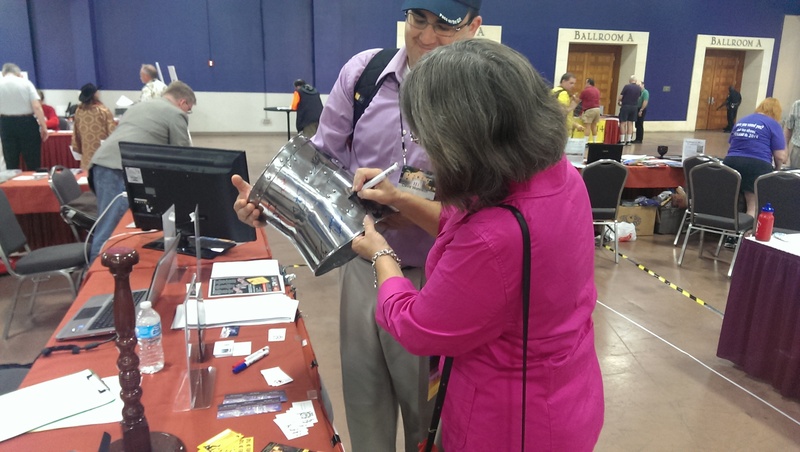 Robin Hobb signing the Great Helm which /r/Fantasy is donating to Worldbuilders. Robin is about the nicest person in the world, as evidenced by her signing one of her books for me as well. 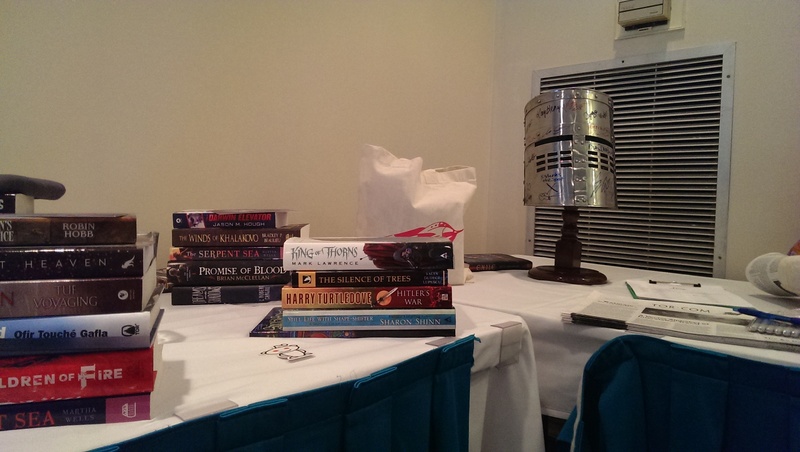 Books and helm at the party, piled into lots to be given away, along with some bonus Tor goodies. 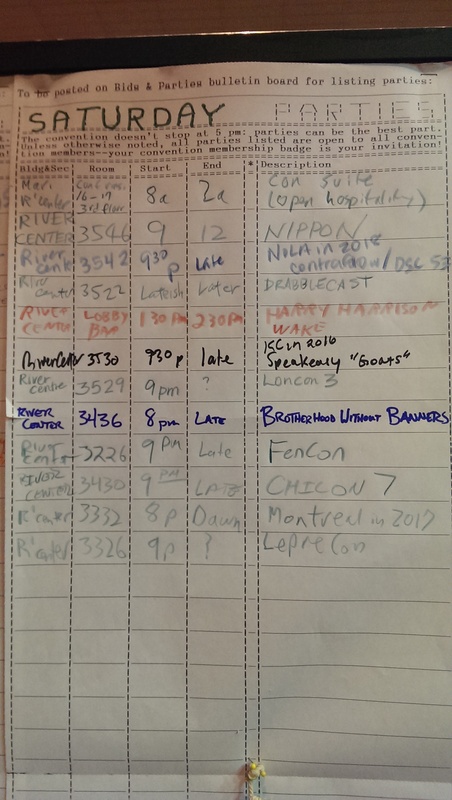 Con tip: take a picture of the party board each night so you can just look on your phone to find the parties. Or just wander around the hotel and eventually drift into them all. 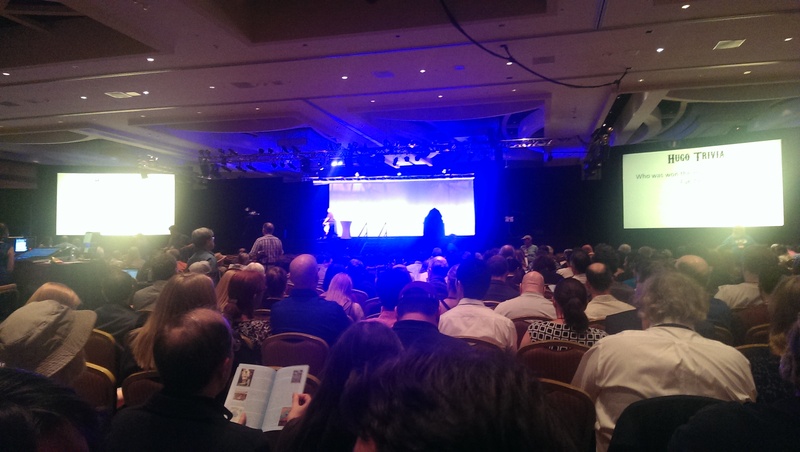 Waiting for the Hugo awards to start. 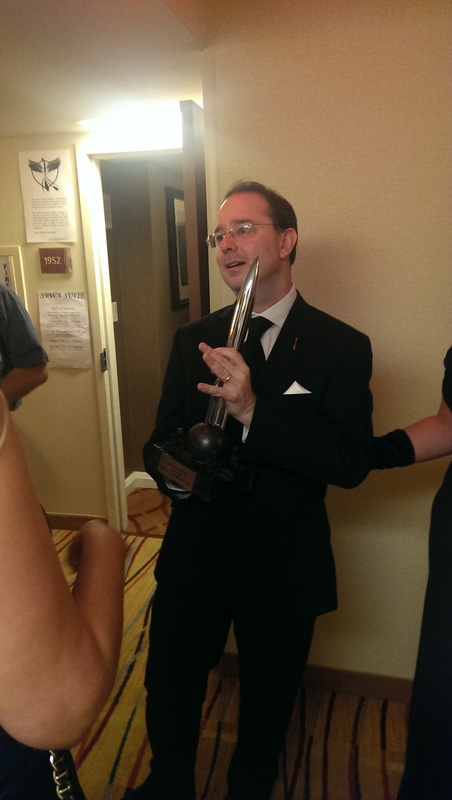 John Scalzi poses with his Hugo for best novel, about an hour after he won it. He seemed dazed.